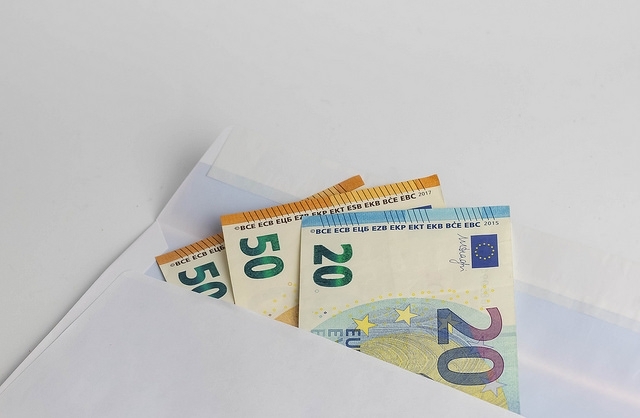 Etrennes - which roughly translate as a “surprise” or “mystery gift” - are envelopes of money placed discreetly on a shelf, or given as a little thank you to those helpful people in your life at the end of the year. The amount you give is discretionary, but some recommendations of benchmark figures may help you to navigate the tradition with ease. Postal workers in France can expect to receive at least €5 per household, and some of this money may go towards the calendars that many sell at this time of year for around €2. One experienced postman, Jean-Luc, who works in the 19th arrondissement in Paris, told news source FranceInfo that he may receive up to €1,200 in two weeks in a good year, but that amounts have decreased in recent years. Households are warned that they only need give money to their regular postal worker, and not those who only visit during the holiday period, nor anyone who you do not recognise. The leaving of a small amount for your bin collector is seen as a small-yet-significant gesture in France, as a nod to a difficult profession that is often forgotten, despite its necessity. Many workers who receive the money will then distribute it evenly among the rest of the crew. Fire brigades in France also tend to sell calendars at this time of year, for around €5-€10 each. Traditionally, some households also give homemade gifts, such as a pot of jam or a children’s drawing. In some fire station and fire brigade associations, the money collected is brought back and put in a communal pot. Some of the money is given to the fire workers themselves, and the rest is donated to the association or the Union department, to finance competitions, sporting activities or other events. Nicolas Belmonte, president of the firefighter association in Céret, (Pyrénées-Orientales), said: “Apart from the donations, canvassing [at New Year] is a great time to meet the public outside of our usual work. For those who live in a building with a reception or door staff, it is traditional to give around 10% of your monthly rent to the main worker at New Year, at your discretion. This tradition has a long history, dating back to the economically turbulent 1930s. Some people give gifts, but generally money is preferred, especially as concierge may not earn much. Patrick Barbero, director of concierge union l'Union Nationale pour l'Information et la Défense des Gardiens d'Immeubles et des Employés de Maisons (UDGE), said: “Etrennes come from a different time period to ours. But there is no definite rule about how much you should give. It is traditional to give at least half of your cleaner’s usual monthly pay for their gift, or at least €50. Some households may also prefer to give a little present, depending on how well you know your cleaner. This relationship can be very individual, as your child’s nanny may spend a great deal of time with your little ones, and help you out throughout the weeks and years. In this case, money may be welcomed, but it is more traditional to offer a personal gift.